Arnold M. Washton, Ph.D., is co-founder and executive director of Compass Health Group in New York City, a collaborative team of physicians and psychologists providing integrated treatment for addiction, psychiatric disorders, and general medical conditions. 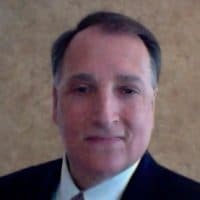 A well-known addiction psychologist and book author specializing in the treatment of addiction for over 30 years, Dr. Washton has dedicated his career to advancing the understanding of addictive disorders, developing more individualized treatment approaches, and expanding available treatment options. He has served as substance abuse consultant to special committees of the U.S. Senate, the U.S. House of Representatives, and the U.S. Food and Drug Administration. Dr. Washton has been the recipient of research grants from the National Institute on Drug Abuse and served on the teaching faculty of New York University School of Medicine as Clinical Professor of Psychiatry in the Division of Alcoholism and Drug Abuse. He was the founding President of the Division on Addictions of the New York State Psychological Association. His publications include a popular self-help book "Willpower's Not Enough" and a widely referenced professional textbook "Treating Alcohol and Drug Problems in Psychotherapy Practice: Doing What Works."